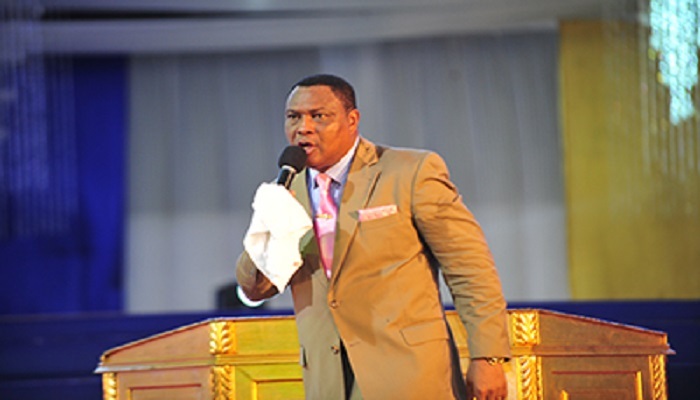 The Apostle-General of the Royal House Chapel International, Reverend Sam Korankye Ankrah, has asked Christians to be on fire for the Lord Jesus Christ as He is the only one who has the power to set mankind free from sin through His death on the cross. He said Christians, particularly Africans should endeavour to preach the gospel in the power of the Holy Ghost in these end times. “Set another fire like the one that happened on Azusa Street in London and at Asamankese, in Ghana during the early days of our Pentecostal forefathers in Ghana,” he said. According to him, another dimension of the outpouring of the Holy Spirit is to be on fire for the Lord. He prayed that Christians will develop the spirit of boldness to declare the power of the Lord to the ends of the world. “The disciples stretched forth their hands and received boldness as stated in Acts 4:28. They represented Christ’s boldness on earth,” he explained. He called on believers to aspire to be like the early disciples who prayed, healed and performed miracles in the name of the Lord Jesus Christ. “Christian leaders should not boast about the number of people they have as a congregation, rather they should fill people in the church with the word of God and not fill the churches with people,” he stated. He also cautioned Christians against self-centered prayers. The Empowered21 Global Conference is a worldwide Pentecostal Movement with a vision to promote Holy Spirit centered evangelism to enable the world’s people have an authentic encounter with Jesus Christ through the power and presence of the Holy Spirit by Pentecost, 2033. Among Christians, Pentecost commemorates the descent of the Holy Spirit upon 120 followers of Jesus including the apostles as described in Acts Chapter 2. Pentecost was “the Birth of the Church” and the beginning of the great Christian harvest with 3,000 people receiving Christ as their Saviour on that day.